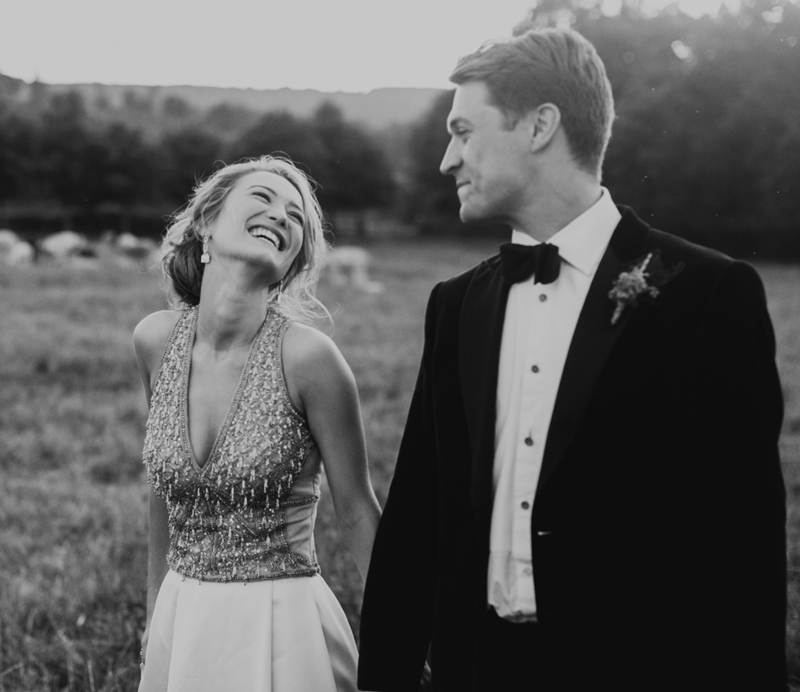 Most of my work is well planned in advance, weddings are booked up to 18 months before the date and classes are always scheduled several months ahead. Sometimes though something fun and creative gets thrown your way at short notice and no matter how busy you are you have to fit it in! 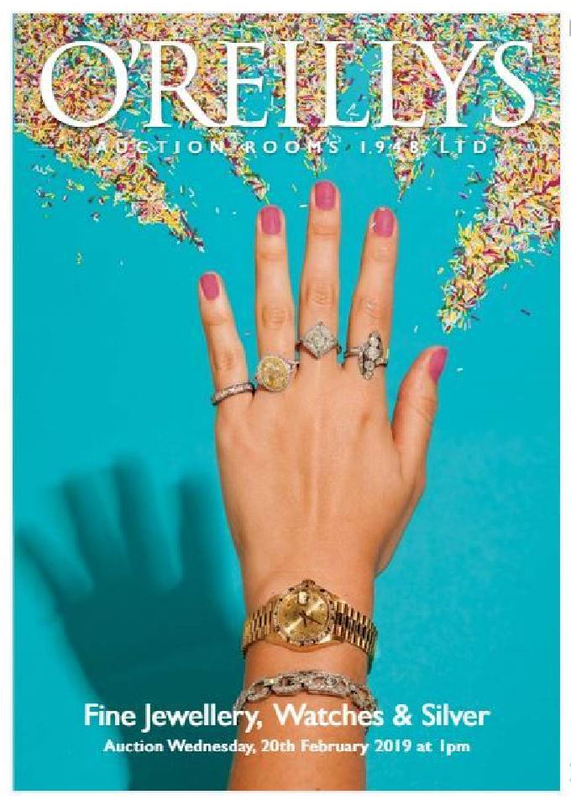 Such an opportunity happened for me last month when O’Reillys Auctioneers of fine jewellery asked me to collaborate on their March catalogue cover. 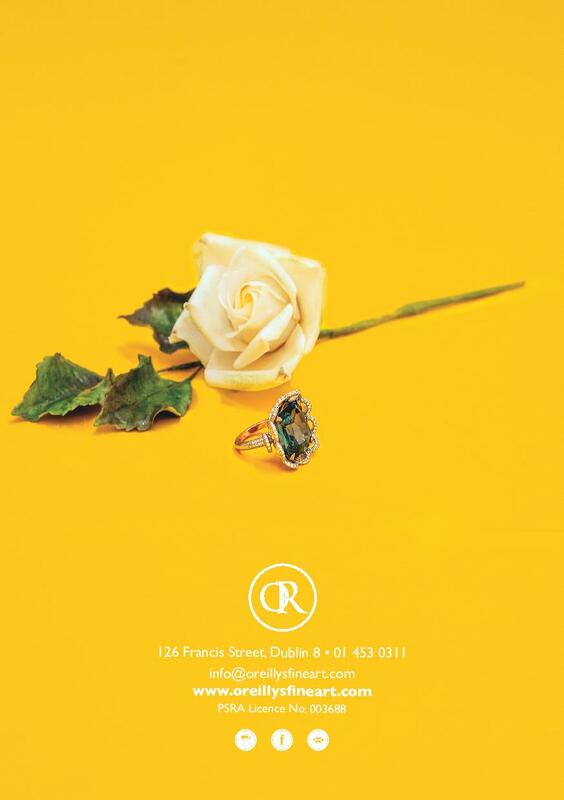 O’Reillys Auction Rooms is based in Francis Street in Dublin’s ‘Antique Quarter’. 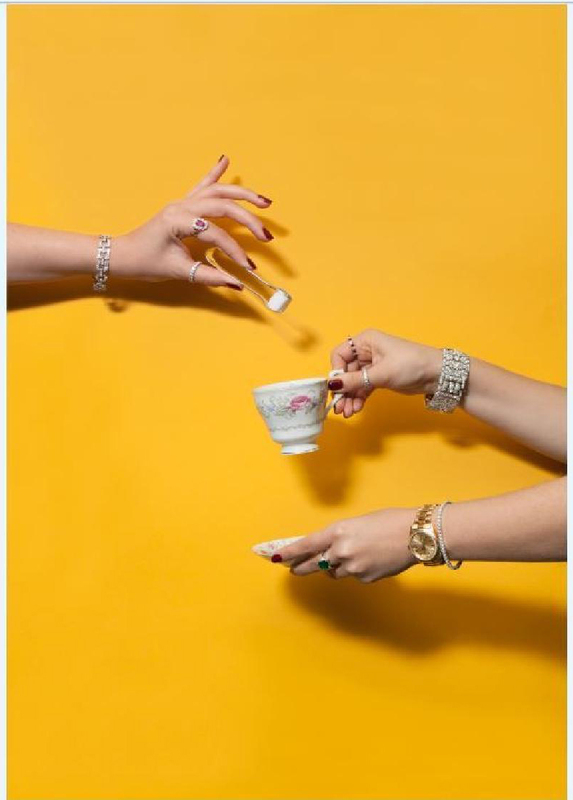 They hold monthly auctions of fine jewellery, watches and silver and their monthly auction catalogues are remarkable for their vibrant and artistic imagery which showcases the stunning jewels. 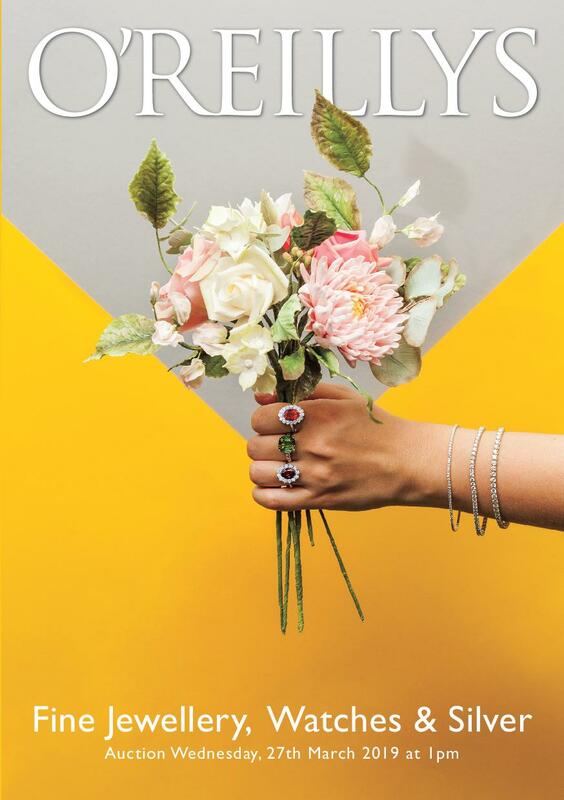 For the March cover Natasha Bernon of O’Reillys approached me with the idea of using some of my sugar flowers to create a bouquet that could be held by a model wearing some of the gorgeous jewellery available at the auction. The brief was to herald the arrival of Spring, with pretty flowers reminiscent of Mother’s Day to be held against a vibrant spring backdrop. 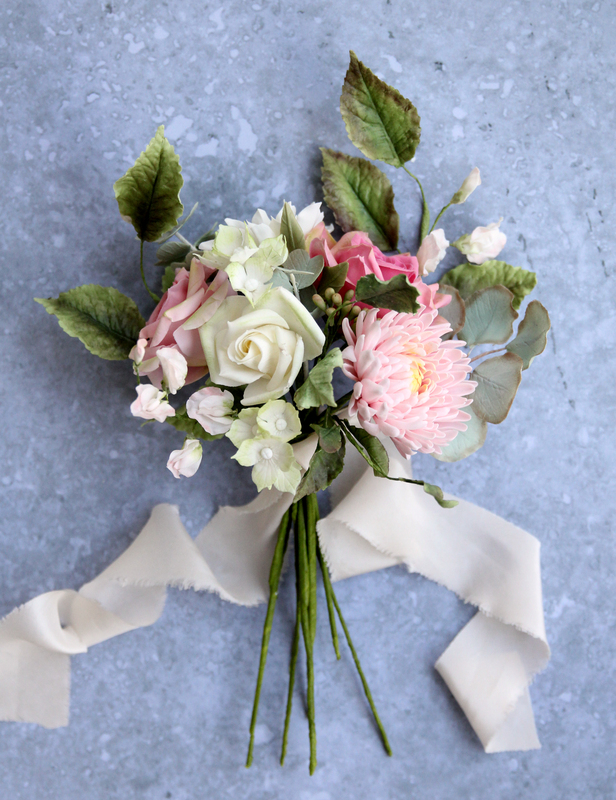 I made a bouquet using a mix of chrysanthemum, roses, sweet pea, hydrangea buds and foliage in pastel colours… all in sugar! 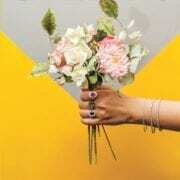 For the cover the bouquet was set against a striking yellow backdrop, with glistening jewels on the model’s hands. The back cover featured a single sugar rose alongside a stunning emerald ring. There was also an nice little biography of my business towards the end of the catalogue! 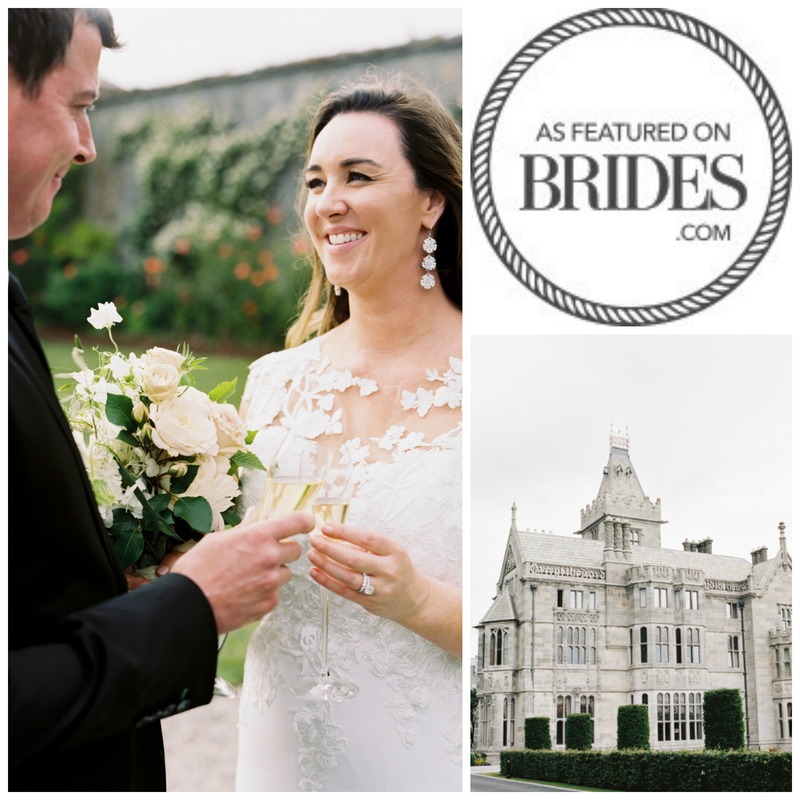 Thank you so much to O’Reillys Auction Rooms, Natasha Bernon (Creative Director) and Eithne O’Brien (Photography) for giving me such a fun opportunity, it was a pleasure to work with you! 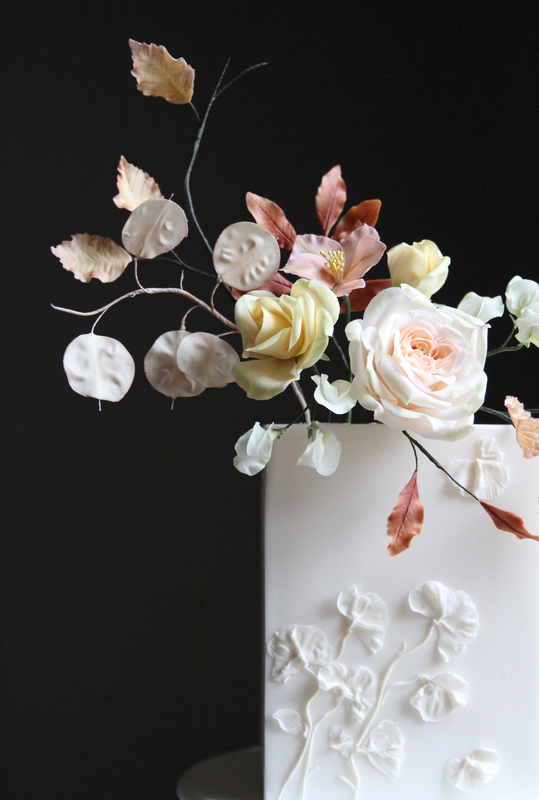 I was in love with the autumn hues this year: copper, burnt orange and light browns filled trees and then carpeted the ground….these colours are a departure from my usual in sugar flowers and hence a perfect palette to experiment with. 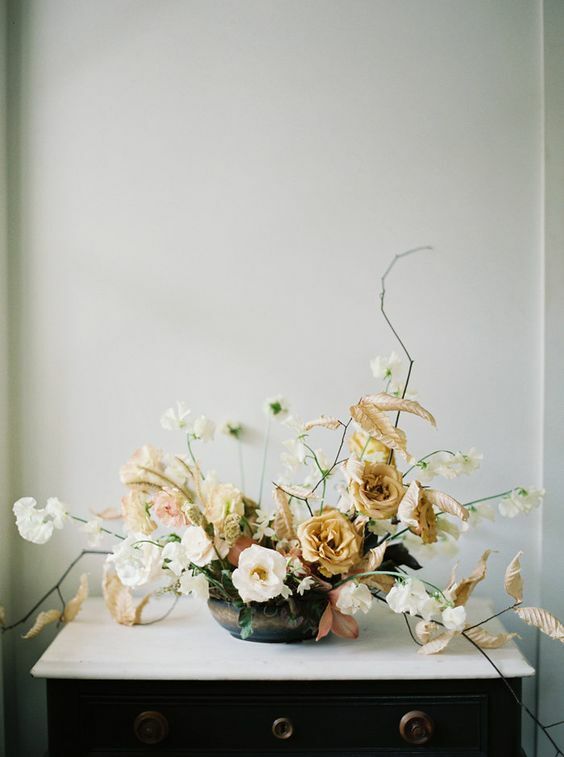 I have also recently been drawn to more natural and organic floral arrangements by floral artists such as The Blue Carrot and this bowl arrangement by American Florist Kelly Lenard. 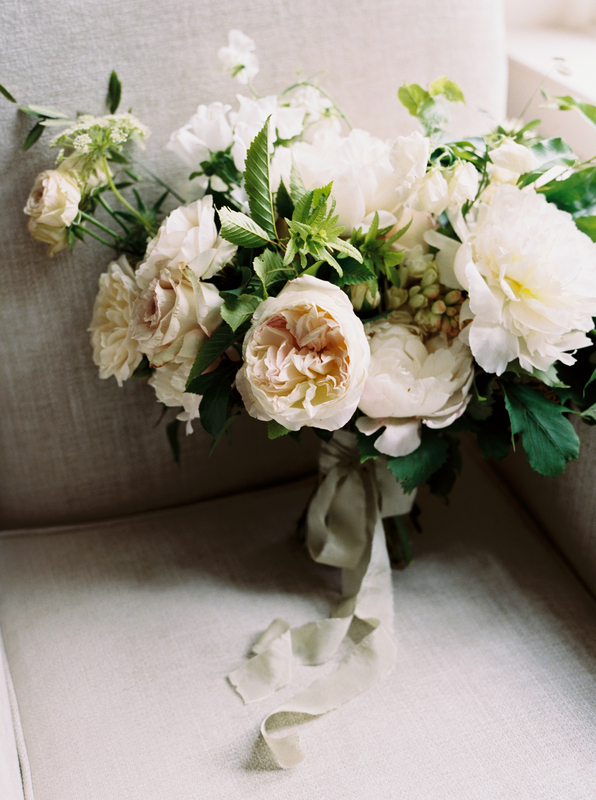 My take on this palette and inspiration was a loose arrangement of a blush O’Hara rose, yellow garden roses, and sweet pea for softness. Completing the arrangement were sparse withering leaves in shades of copper, rust and light brown and I also added in my version of my latest obsession, lunaria! 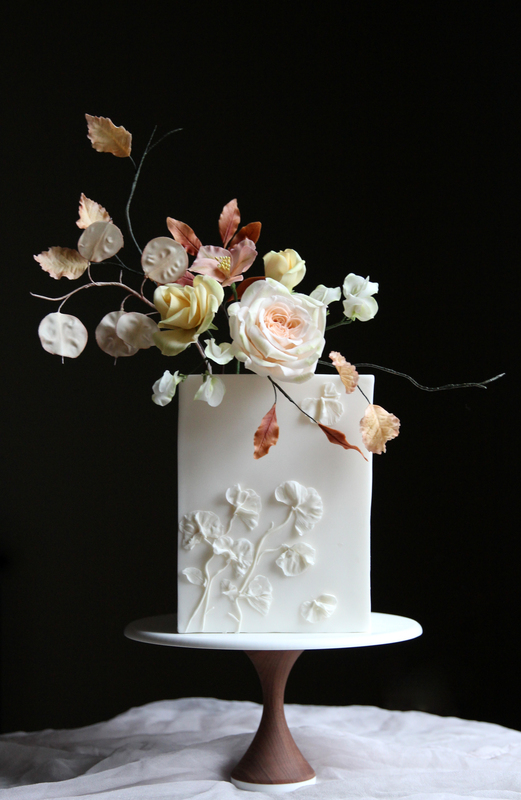 I set the flowers atop a tall modern square cake, not the easiest to ice but quite striking I think once done! 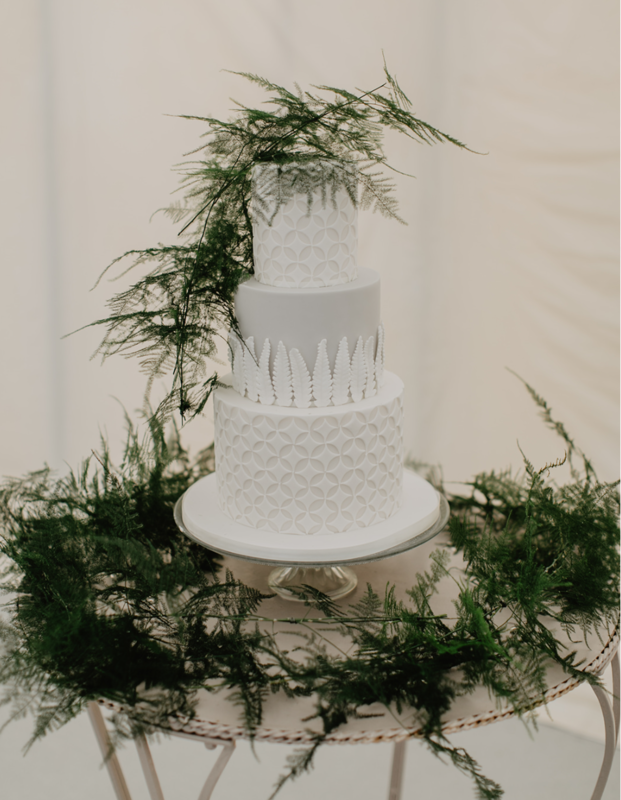 The cake needed a little texture for which I took inspiration from botanical artist Rachel Dein. 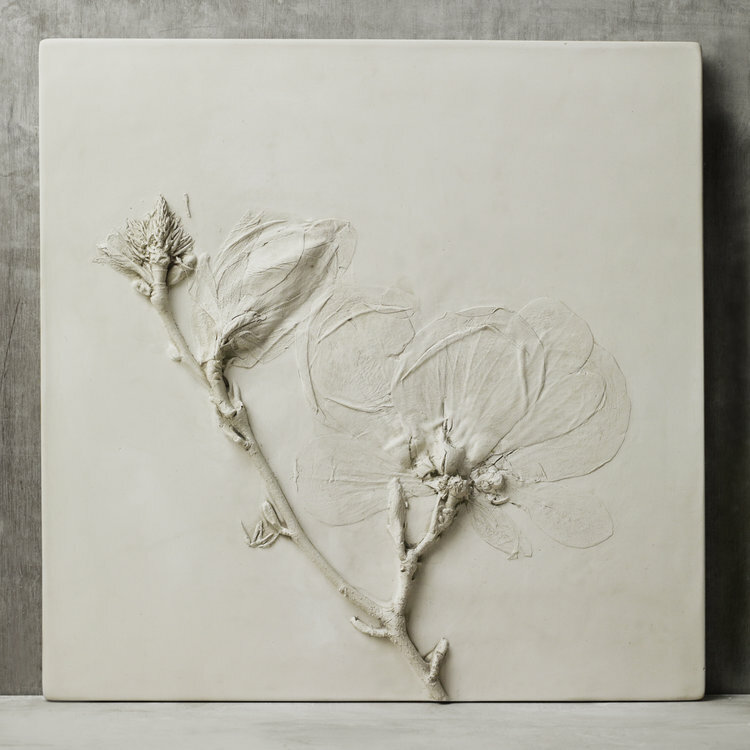 Rachel Dein is a London-based artist who creates intricate botanical art in plaster and concrete in the form of tiles and larger pieces. The detail and texture is incredible! My texture was certainly a more simplified version of Rachel’s beautiful detail but it is something I would love to explore more…if I have the opportunity! I hope you like the finished piece! 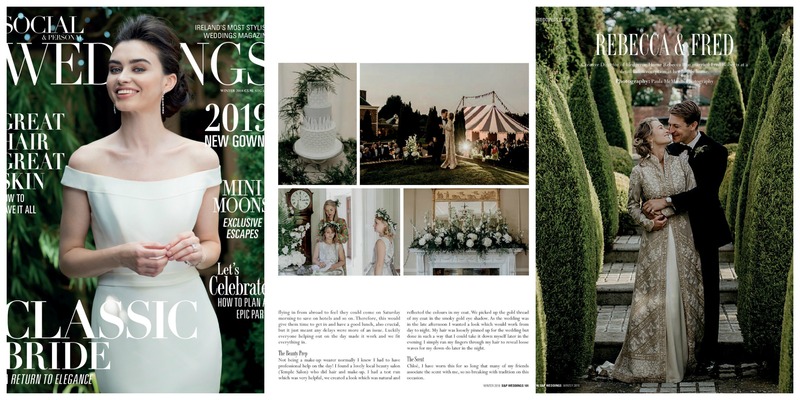 I had the pleasure of being invited to collaborate on a photo shoot last July designed and planned by the talented Grace and Saviour Styling and photographed by Paula O’Hara Photography. 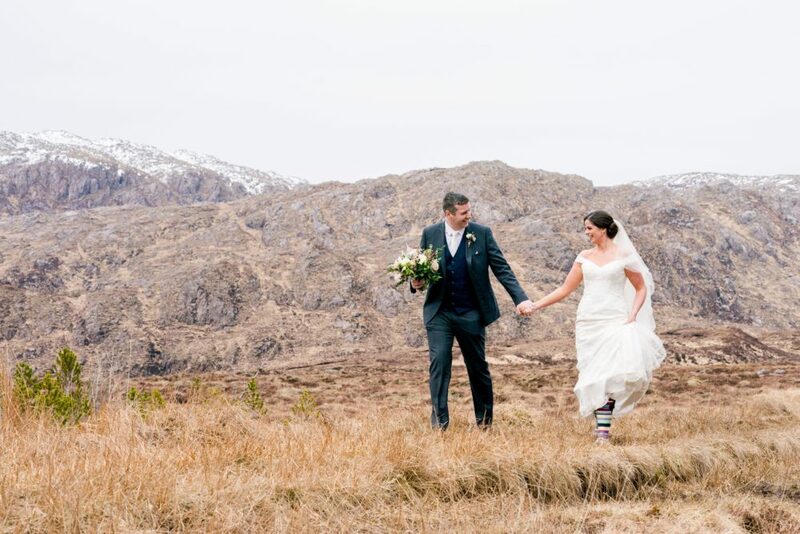 I am in love with this one and thrilled to see the full shoot now published on prestigious wedding blog Green Wedding Shoes. 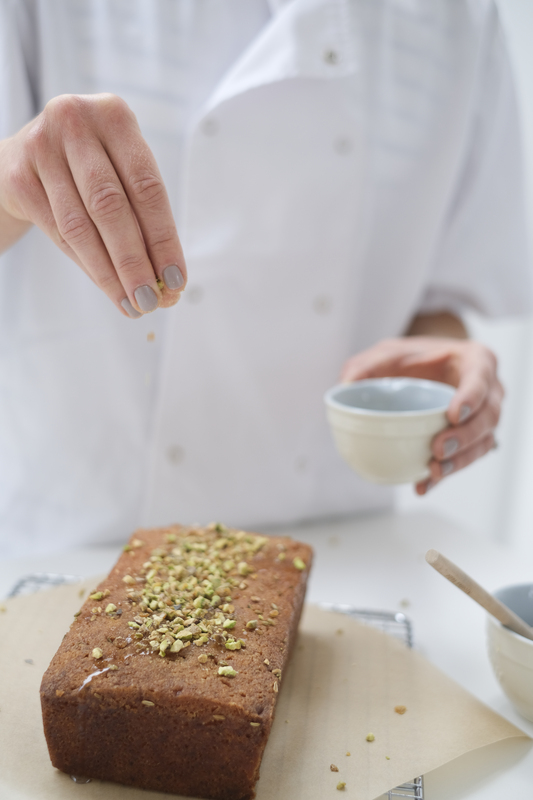 In this blog post I wanted to give a little insight into the inspiration for the shoot and corresponding brief for the cakes…with a sneak peak of the result! 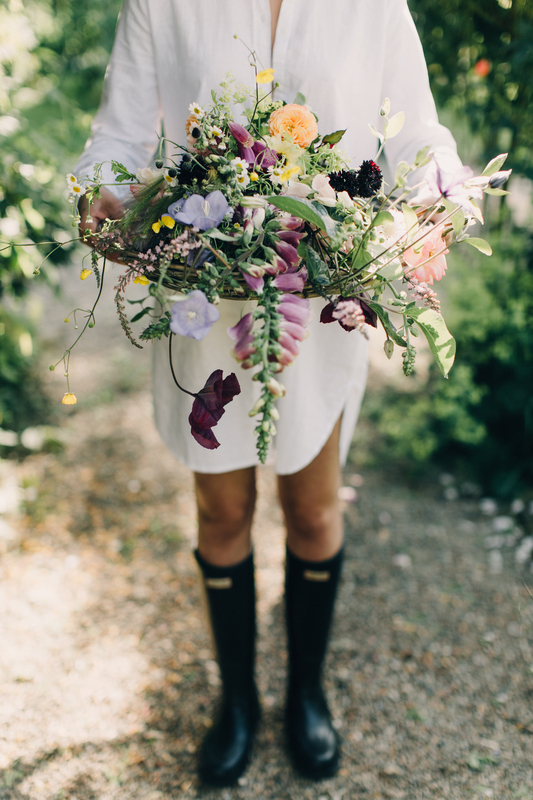 The inspiration for the shoot was ‘ vintage botanical illustrations from the 18th century’. 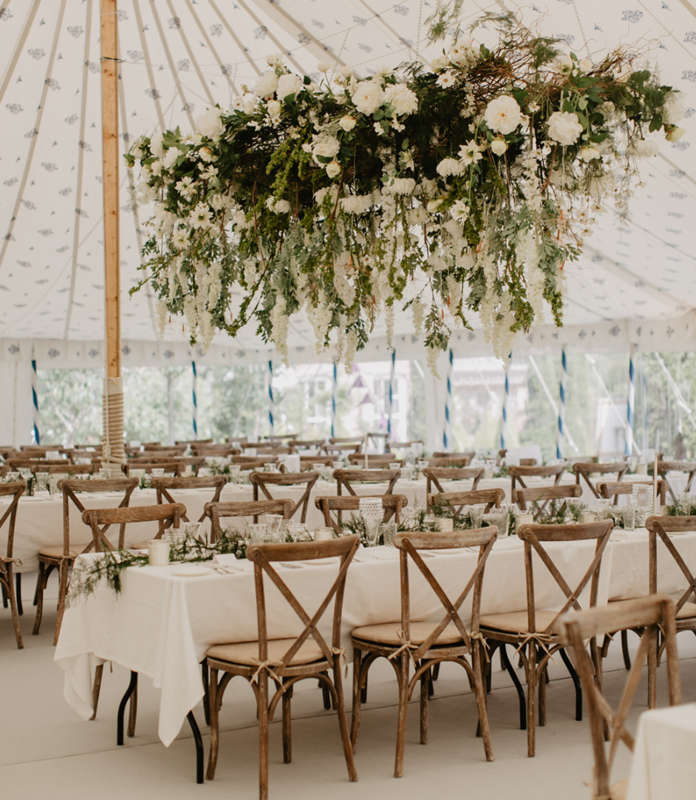 The brief was dreamy, ‘..to convey the wedding of a cool, relaxed, slightly bohemian couple who get married in a beautifully ramshackle glass house in a country pile…overgrown gardens and slightly too warm, glistening skin’. 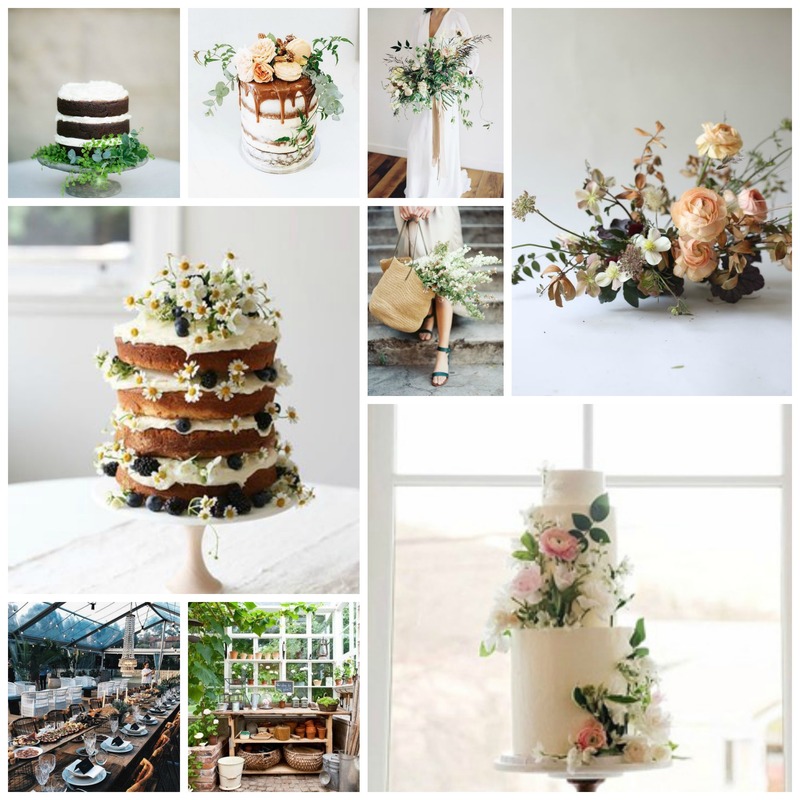 The shoot was to feel earthy and relaxed so I created a mood board for the cakes, drawing on pretty, informal and delicious looking cakes as inspiration, with natural florals for decoration. The ‘country pile’ was Carncairn Lodge in Northern Ireland, an Irish Manor house with a beautiful garden and rambling greenhouse. 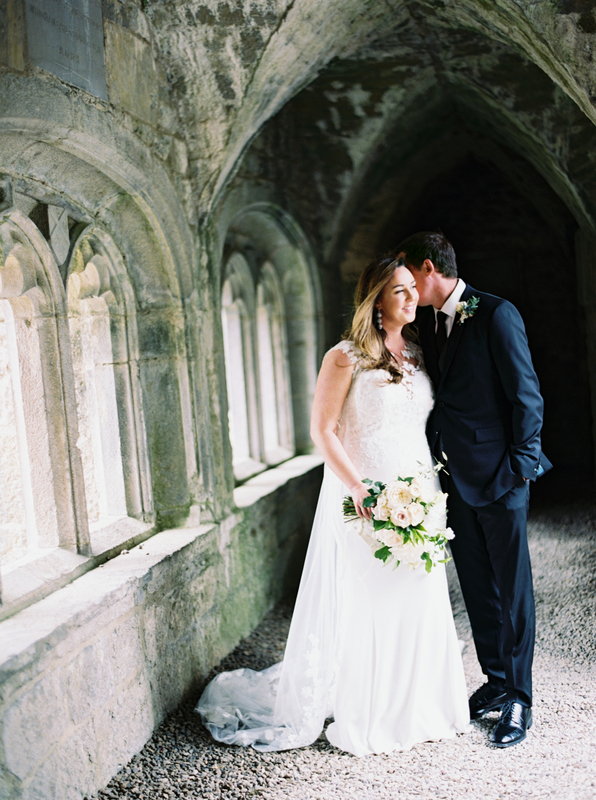 It was a glorious July day, creating the perfect atmosphere to convey a relaxed summer garden wedding. 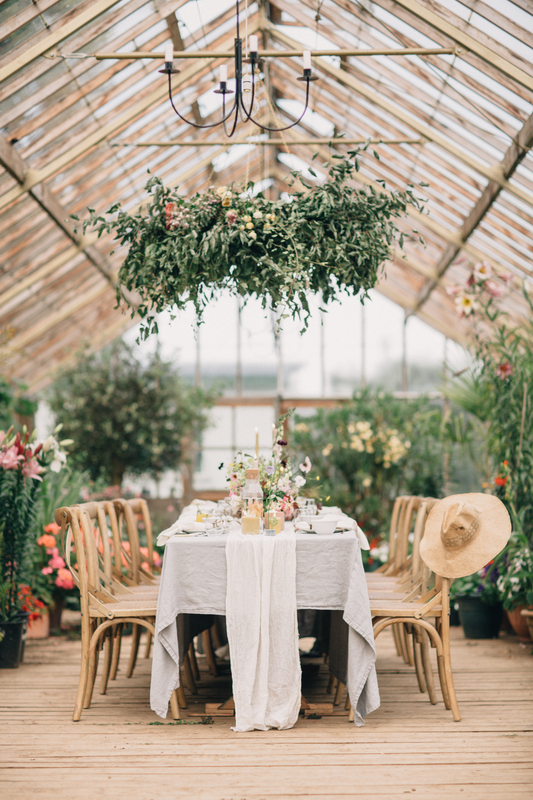 The shoot was centred around the greenhouse which was styled by Grace for an informal wedding lunch with draped linen, relaxed flowers, candles and fruits. For the cakes, I opted for a trio for an informal sweet table concept. 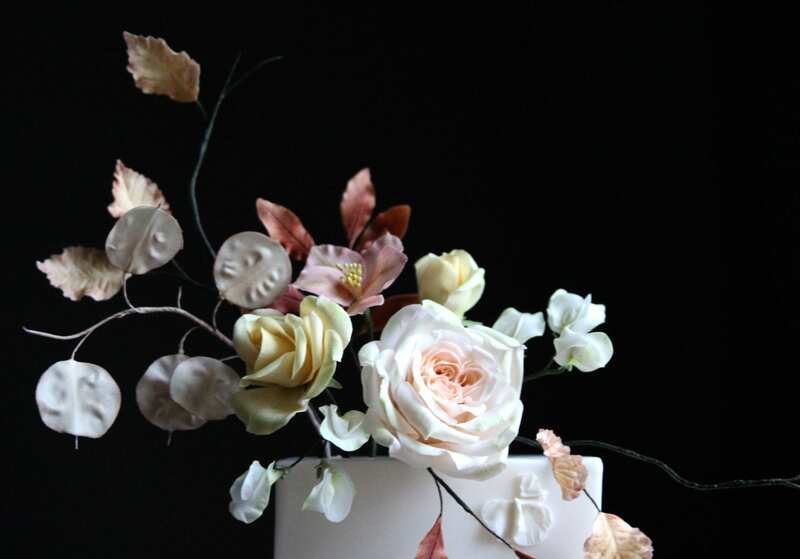 A main textured iced cake adorned with oversized garden blooms styled by Grace was accompanied by un-iced Chocolate Salted Caramel and Prosecco Peach Thyme cakes (for more of our delectable cake flavours check our our menu!). Purposefully oozing peach and thyme jam, a cake slice, and the exposed chocolate cake layers were chosen to convey delicious homemade and summery sweet treats. 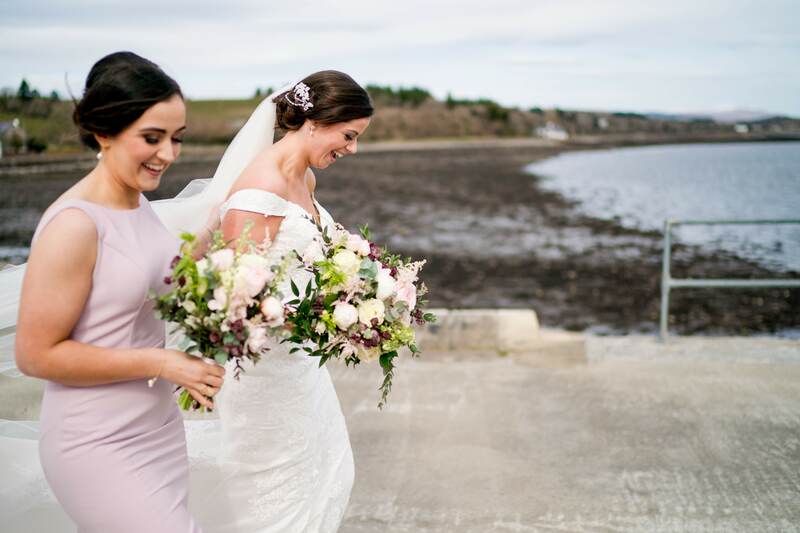 This gives a little taste of what’s to come in this gorgeous summery shoot which features signature informal flowers by Petal and Twine, exquisite gowns by Ivory and Pearl, stationary by Lenka Calligraphy, hair by Lynette Murray, and make up by Jennifer Ireland. 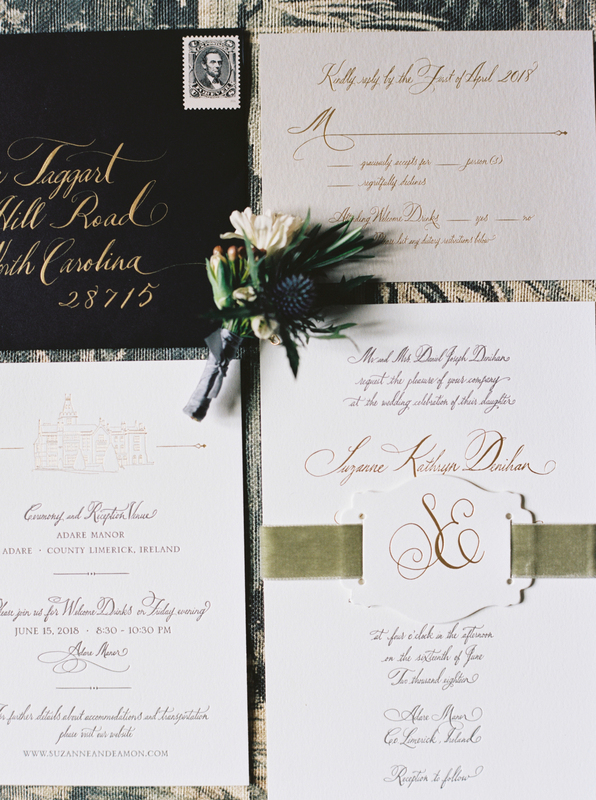 To swoon over the full shoot head on over to Green Wedding Shoes! Much attention has been focused of late on the scourge of plastics in our oceans and environment, with dire consequences for future generations unless we take action. Living beside the sea, we see at first hand the waste that is routinely washed up on our little stretch of coast. Since last year my family has worked to take one small step at a time to reduce plastic use, and waste in general, in our home, each thing we eliminate is one less piece of plastic or waste in our environment. It was inspiring to learn of the recent launch of a Green initiative in my local villages of Glasthule and Sandycove (the latter after which my own business is named!) aimed at tackling waste. ‘Glasthule Sandycove Going Green’ sees businesses aiming to reduce waste, focusing on plastics first. 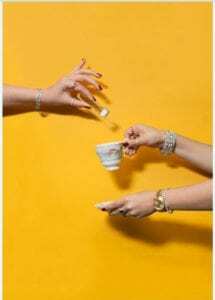 Businesses signed up to the initiative are pledging to replace at least three of their single use plastic items with biodegradable alternatives in 2018. To coincide with this I have taken a look at my own business to see if I can further reduce waste. 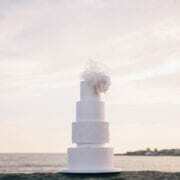 Cove Cake Design is a small home based business who supplies clients directly. 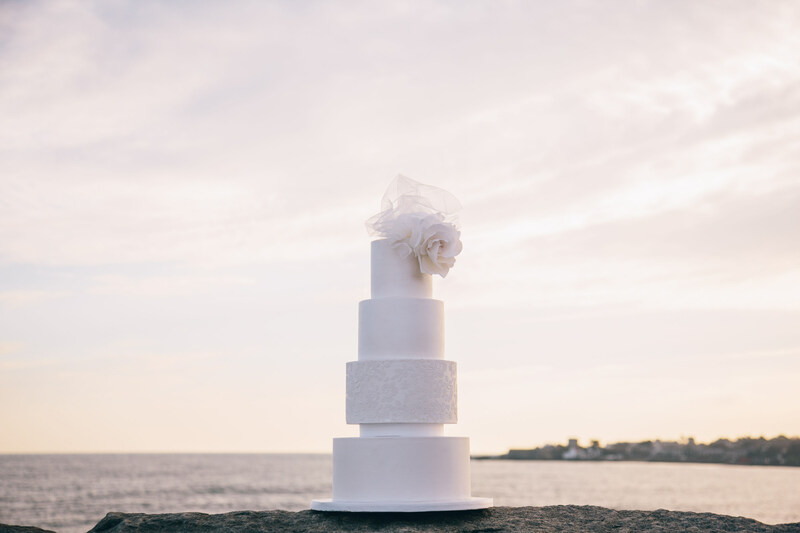 The direct delivery of the majority of my products, wedding cakes, to a venue means there is thankfully little to no packaging involved in these orders…I take back my transport box to use again. 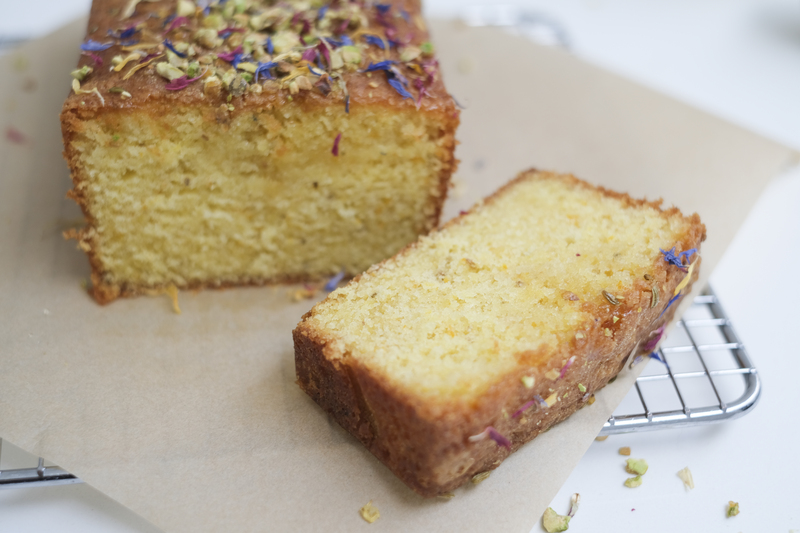 Cakes that are collected are packaged in cardboard boxes which can be recycled. In terms of my supplies, I try to shop for ingredients locally and seasonally (and in small quantities to avoid potential food waste), choosing products not in plastic where possible. Any food waste is composted (and I keep this to a minimum, carefully quantifying recipes so that there isn’t an excess) and anything that can be recycled is. 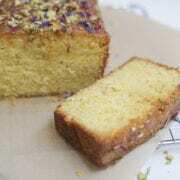 I am in the process of sourcing biodegradable cellophane for my cake samples in my sample boxes. This is one area of my business where I do us packaging and I hence need to minimise waste from this. I have started using a washing up liquid that comes in a container which is made from 100% recycled plastic and can be recycled again itself. I switched from antibacterial soap in a plastic pump bottle in my kitchen to an antibacterial soap bar that comes packaged in a box. I have switched from purchasing plastic milk containers to tetra pak cartons which have a better water and carbon footprint than plastic. I have discovered a farmer in my local market who takes my old egg box cartons to re-use to sell his eggs…even though I always recycled them before to have them re-used is a much better circular system! I have reduced the amount of paperwork that I print, backing up certain files electronically that I used to print a hard copy of too. I have been inspired by others and I hope this little post can inspire too. 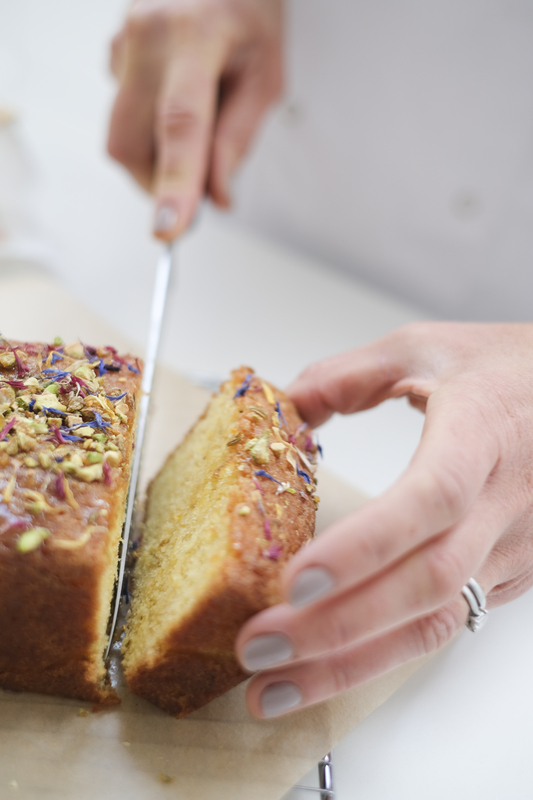 I also want my clients to have confidence in knowing that when they buy a cake from Cove Cake Design I am conscious of doing my best to minimise any waste produced in the process! 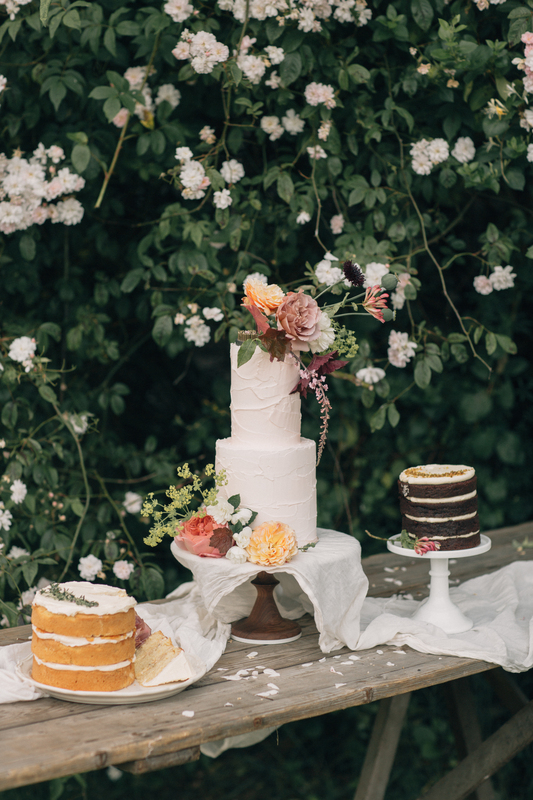 Wedding cake tasting must be up there amongst the most enjoyable aspects of planning your big day. What is not to love about sampling delicious cake and deciding what flavours would be most enjoyed by you and your guests?! 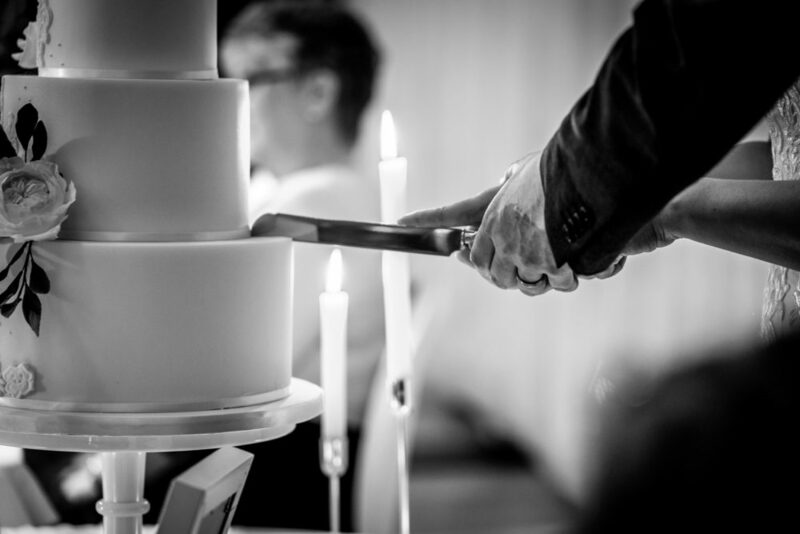 At Cove Cake Design wedding cake tastings are operated via a sample box service which has been hugely popular with clients. Obviating the need for yet another appointment sample boxes are delivered to your door, allowing for tasting and discussion in the comfort of your own home. 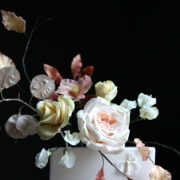 I have booked my wedding cake with Cove Cake Design, how to I order a tasting box? Once you have reserved your date your name will be put on the next available tasting box list which suits your diary. 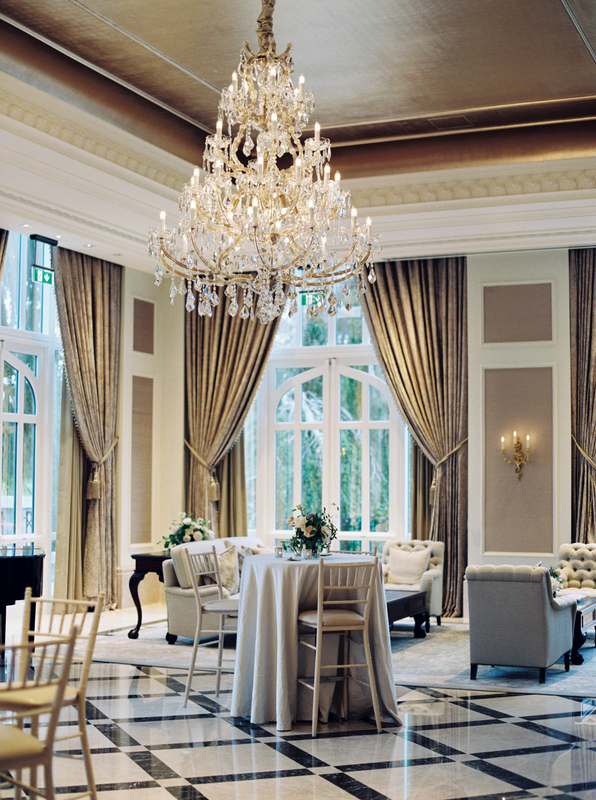 The tasting service operates every 2-3 months. Tasting boxes are complimentary for clients who have booked their wedding cake. I am not getting married but would love a tasting box! Is this possible? 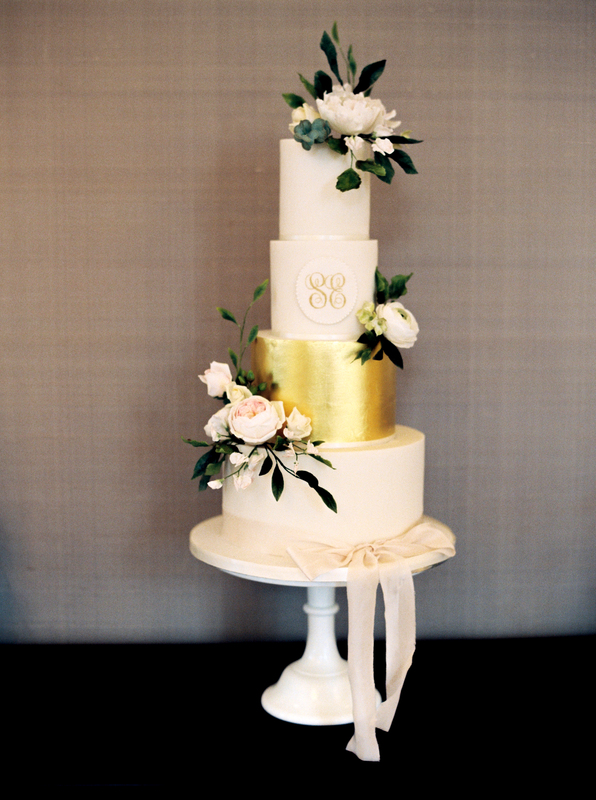 Unfortunately due to limited availablility only wedding cake clients can be accommodated on the tasting box service. I would like to taste some of Cove Cake Design’s flavours before booking my cake, is this possible? 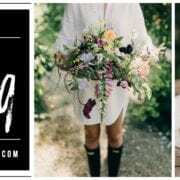 Due to limited availability priority on our tasting box service is given to those who have already reserved their wedding date with Cove Cake Design. However if you wish to try samples prior to booking and a box is available on a particular dispatch then I would be delighted to send one to you! 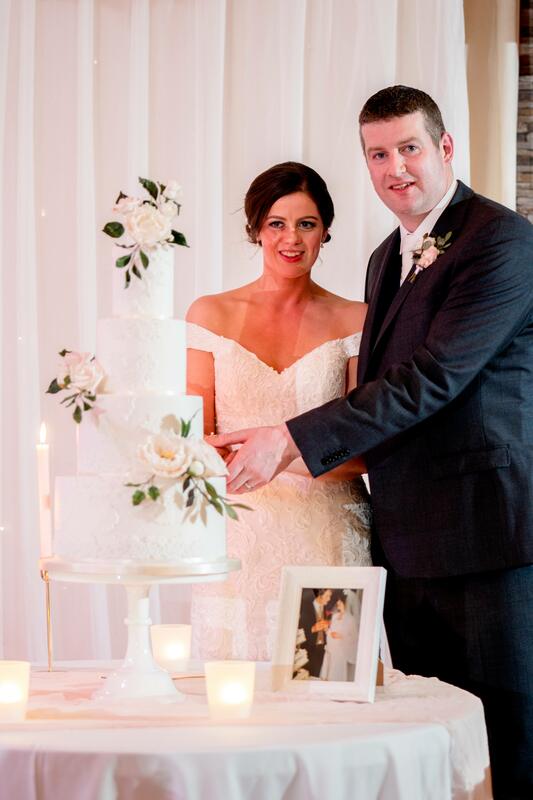 Prior to payment of booking deposit there is a €40 charge for tasting boxes which can be redeemed against your wedding cake deposit should you choose to proceed with an order. How many flavours are in the box? The boxes contain 6 delicious samples from the menu. Can I choose which flavours I would like to sample? 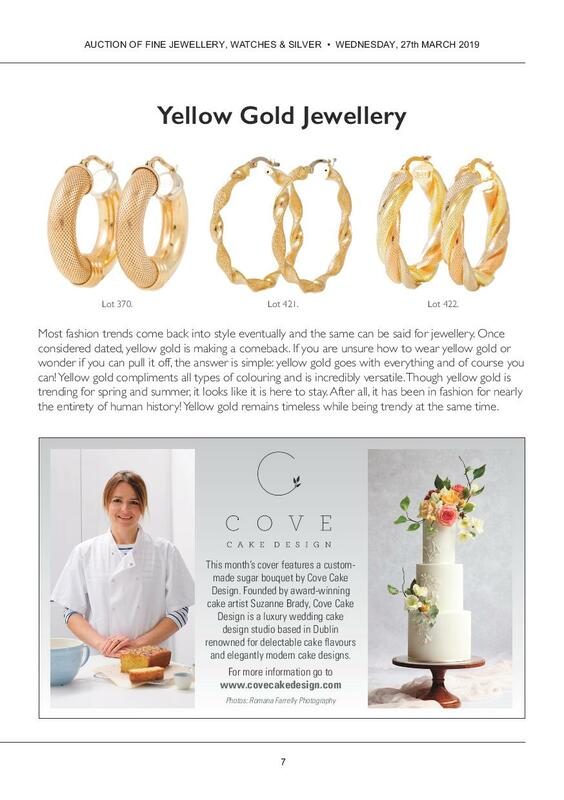 Flavours are chosen by Cove Cake Design depending on a number of criteria including seasonality and availability of ingredients. However if you see particular favourites on the menu which you would like to try please do let me know and I will do my utmost to include as many of these as possible! How are the boxes dispatched? Boxes are sent via overnight registered delivery. Will the samples stay fresh? Do you ship tasting boxes overseas? Samples can be shipped to the UK but unfortunately shipping further afield would not be advisable as we could not guarantee freshness of the samples. 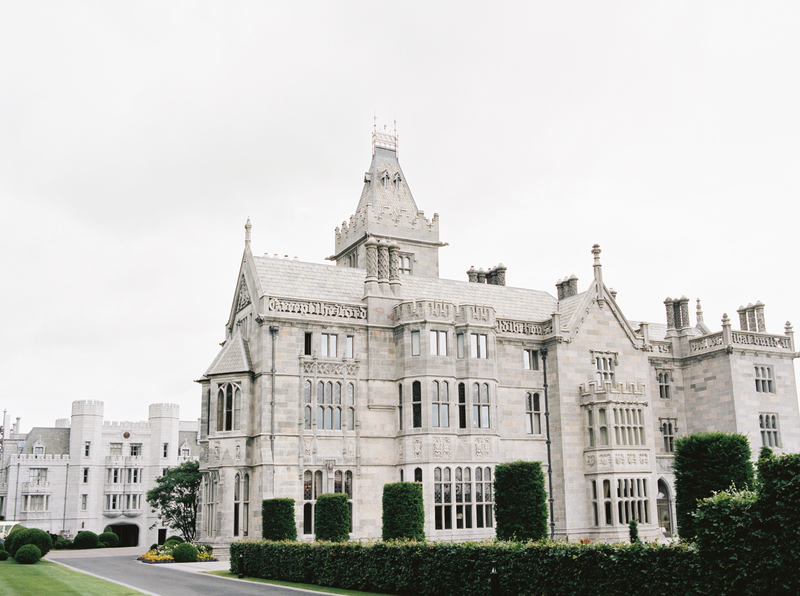 Should you live overseas please let me know if you plan to visit Ireland in advance of your wedding day and I can arrange samples for that date. Alternatively if you have friends or family in Ireland they may (!) be willing to do the tasting for you. I couldn’t decide which flavours I would like, can I have a second box? Additional boxes can be dispatched at a cost of €15, subject to availability. This is not redeemable against your wedding cake cost. 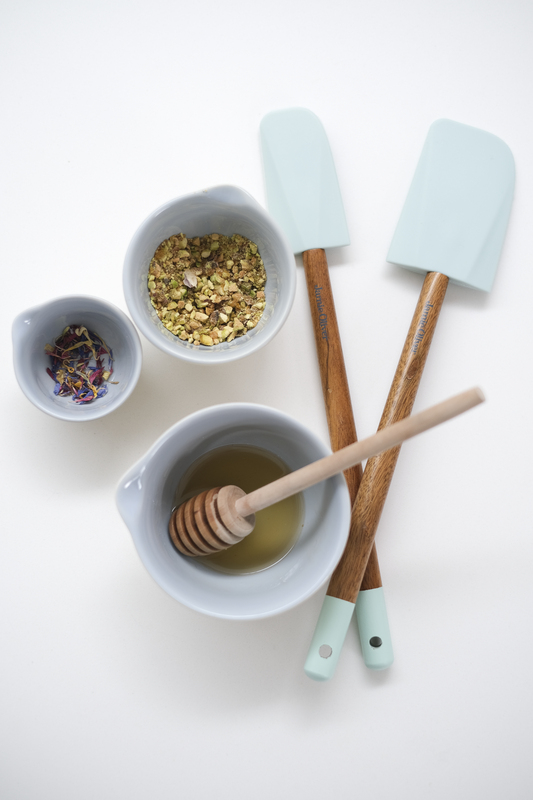 February is synonymous with Valentine’s Day which calls for some romantic baking! Dark chocolate and raspberry are a match made in heaven…here I have spiced up the combination in a cupcake recipe with the addition of some pink peppercorns. 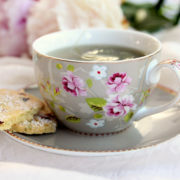 The spice adds an interesting little kick we well as being a pretty decorative flourish! This recipe makes approx 16-20 cupcakes. Feel free to half the recipe if you don’t wish to devour this many between you and your loved one! To make the cupcakes, preheat the oven to 160°C/315F and line two 12-hole muffin tins with 16-20 paper cases. Place the chocolate, milk and half the sugar in a small saucepan and heat gently, stirring until all the chocolate and sugar have dissolved. Meanwhile beat the butter and remaining sugar in the bowl of an electric mixer until light and creamy. Beat in the eggs one at a time, beating well between each addition. Scrape down the mixture from the sides if necessary. Sift the flour, baking powder and bicarbonate of soda into the butter and sugar mixture and mix gently until just combined. Pour in the melted chocolate mixture and mix again, scraping any mixture down from the sides if necessary. Divide the mixture between the cases and bake in the oven for approximately 20 minutes or until the top of the cupcakes are springy to the touch. To make the buttercream, place the raspberries in a small saucepan with a small splash of water and heat gently until soft. Remove from the heat and mash. Strain through a sieve into a clean bowl, scraping the sieve to get as much of the juice as possible. Return the raspberry puree to the saucepan and simmer gently until the juice has thickened and reduced by about half. Leave to cool and thicken further. Meanwhile, beat the butter and icing sugar in the bowl of an electric mixer for approximately 10mins until light and fluffy. A little at a time, add the concentrated raspberry puree to the buttercream, mixing between each addition, until the desired strength of flavour is achieved. Take care not to add too much such that icing is too runny. To finish the cupcakes, pipe the raspberry buttercream on each cupcake and sprinkle with crushed pink peppercorns! Step 1: Preheat the oven to 170°C/315F. Step 3: Add the butter and rub into the flour until it looks like fine breadcrumbs. Step 4: Add the caster sugar and stir to combine. Step 5: Add the mincemeat and orange zest and stir again until just combined. Step 6: Mix together the egg and milk before adding to the flour mixture. Stir until just combined. If a little dry add some more milk to make a moist dough. Step 7: Turn the dough onto a floured surface and roll lightly with a rolling pin until approx 3cm thick. Step 8: Cut out scones using a round cutter. Place scone on a lightly greased or lined baking tray and brush with the egg/milk wash. Sprinkle with flaked almonds if using. Step 9: Bake for 15-20mins until golden. Step 10: Remove from the oven and place on a warm rack to cool. Step 11: Enjoy as soon as possible with a little melted butter or some jam! 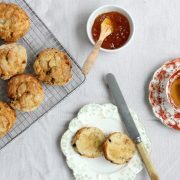 Storage: Scones are best enjoyed on the same day but can be stored in an airtight container. They can also be frozen for up to 3 months.